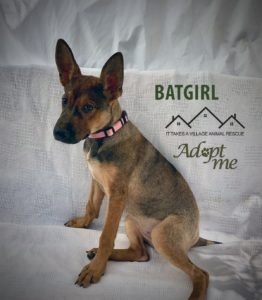 Batgirl came to us from North Carolina. Her birthday is guessed to be June 16, 2018. She weighs about 25lbs as of the end of October. Batgirl, we think is part Shepherd and maybe Lab. She is a sweet girl that loves to play, she is all puppy. 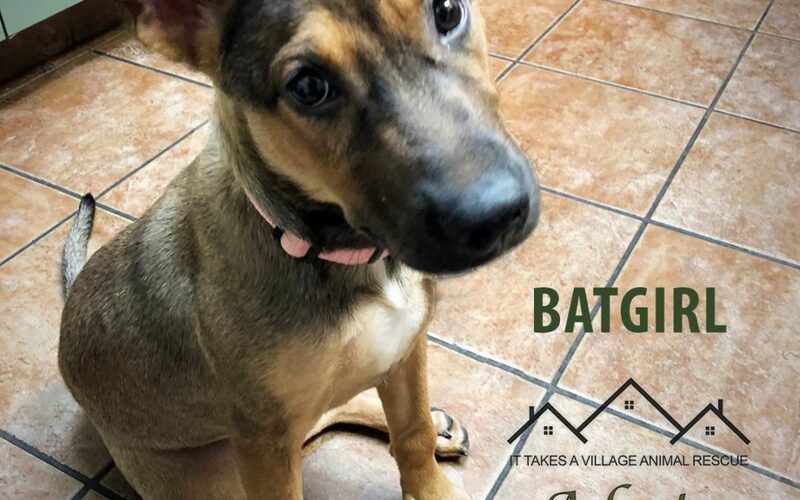 Batgirl gets along with all the dogs at the rescue and loves people. She is being crate trained and we are working on potty training. She does ok walking on a leash. She knows how to sit and we are working on other commands. Batgirl is spayed, micro chipped and up to date on her vaccines. 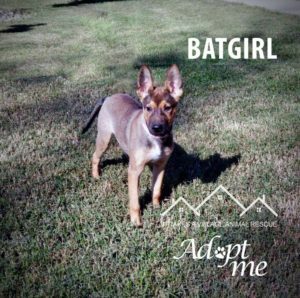 If you are interested in Batgirl, please find out more about our adoption process and fill out an application.